Low Cost Self Storage, near to Junction 31 of the M1 Motorway, at Wales Bar, Sheffield, South Yorkshire, S26 5PY. Our Sheffield Facility is conveniently located off the A57, Worksop to Sheffield Road, near to the Rother Valley Country Park, Sheffield, S26 5PY. Our secure self storage facility benefits from on site CCTV and 24hr access. Our Self Storage units start from as little as £25 per week (+vat) for a standard unit 20ft x 8ft x 8ft that's a massive 10,240 cubic feet or 1296 square feet. Full vehicle access to all storage units, which are all conveniently located at ground floor level. Flexible terms, with no minimum or maximum hire periods or any additional hidden costs. 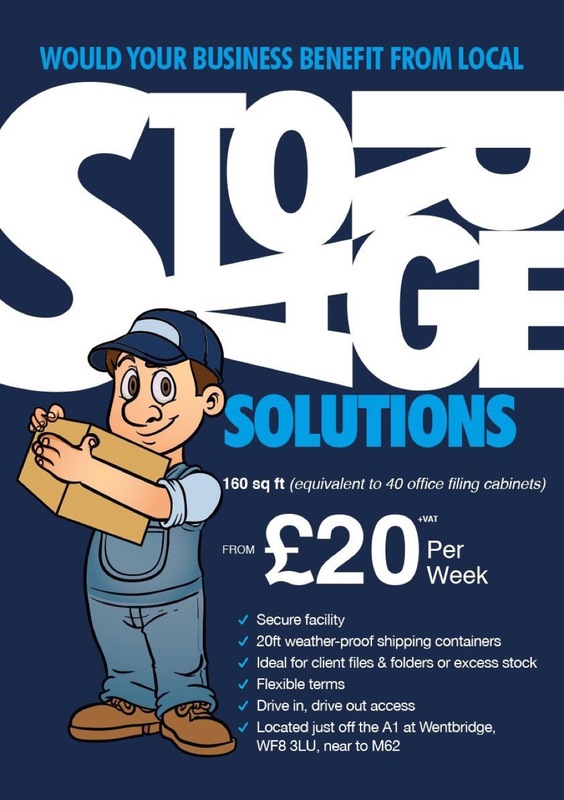 So if you need a local easy to access Self-Storage Unit, close to Sheffield or Junction 31 of the M1 Motorway call now and to allow us to provide you with a tailer made solution for your storage needs.